Garden lighting,Canopy Lighting,High/Low bay Lighting, Road Lighting etc. Replace the HID/HPS/MH easily. Super Bright - 35W garden corn light can be replacement for 100W CFL/MH/HID/HPS light. Power saving up to 80% under the same brightness. No infrared and ultraviolet ray, no pollution. 3 Years Warranty - We have warehouse in United States. It will be delivered quickly and well-packed. It is easy to contact us if you met any problems when using our lights. 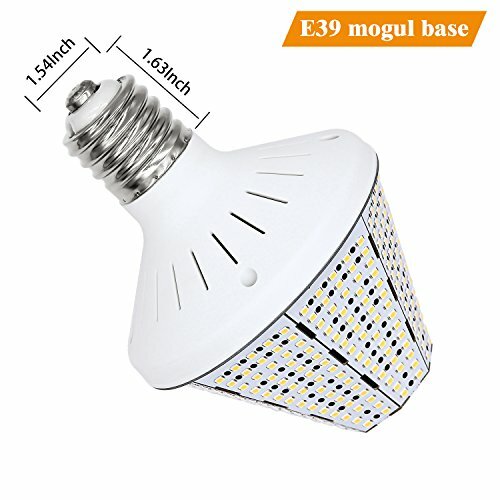 Wide Applications - Unique design, energy saving, fast cooling,long service life,no glare, no flicker, easy install,360 Degree Lighting (just screw to E39 socket). Great for garage, driveway, warehouse, barn, patio, courtyard , garden, street, office, school, hospital, shopping mall, supermarket, station, restaurant, hotel, workshop etc, anywhere need bright light. If you have any questions about this product by New Sunshine, contact us by completing and submitting the form below. If you are looking for a specif part number, please include it with your message.